Lately, Vietnam permits 16 nationals of the countries to enter their land without a visa. The global survey that was conducted by the planning of residence as well as citizenship on the policies of visa exemption of various countries ranked Vietnam as 81 from the 219 countries that were surveyed. Many countries are exempted from the visa and its fees as compared to the States which has to pay USD 40 to 50. The policy today of the immigration is to exempt as many countries from the policy of visa as possible. It is a notified fact that Japan saw lot of their citizens visiting Vietnam since the requirements of visa eased down. 90 days visa free- Chile is exempted from visa for 30 days. 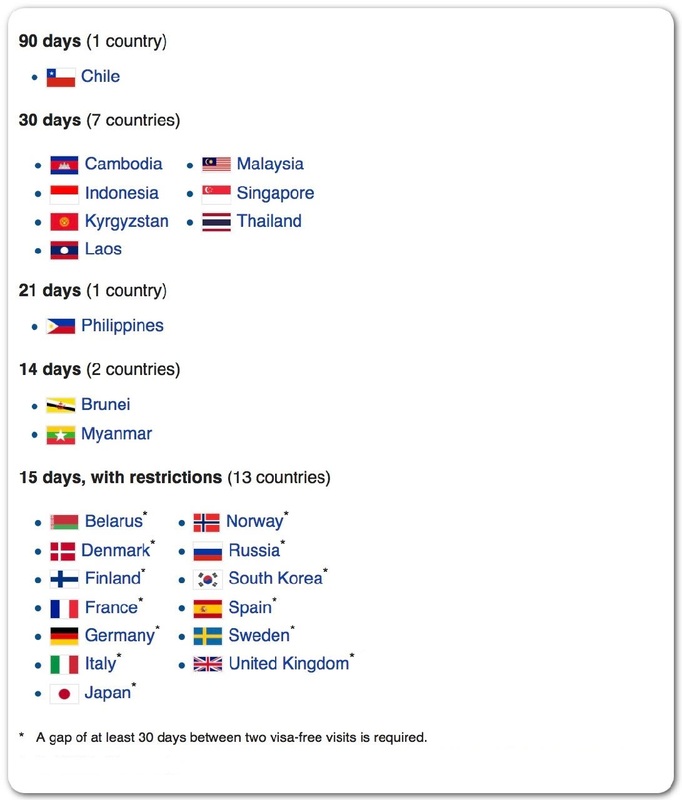 30 days visa free- Thailand, Cambodia, Singapore, Malaysia, Laos and Indonesia are exempted from visa for 30 days. 21 days visa free- nationals of Philippines are exempted for 21 days. 15 days visa free- South Korea, Japan, Norway, Sweden, Finland, Denmark and Russia are exempted from visa for 15 days. 14 days visa free- Brunei is exempted from visa for 14 days. Application of the visa exemption in full copy. A valid passport that lasts for six months extended trip along with a photo copy. Vietnam citizen must fill a form that vouch for you. Money order for the fees of processing and you should remember to note the exact fee from the embassy. An envelope that is prepaid for visa that will be given back via mail. The exemption of Vietnam visa for 5 years applies to the nationals of States. Getting a five year exemption is a healthy practice and a good time if you are constantly on the move to Vietnam. Those who have relatives and friends residing in Vietnam can go and stay in Vietnam for longer period without checking for the expiry date of the visa from time to time. You can do away with the process of applying for visa each time when you travel. Staying 90 days at a stretch is the usual norm which is considerably good. To break the rule only possible way out is to cross the border. You can extend your stay of the exemption period by using the Living in Vietnam Forum. Expansion of the visa exemption is being demanded by Ministry of Culture and other ministries for countries of Canada, Germany, Spain, New Zealand, Australia, Italy, France and India. The number of tourists visiting the country over the years have increased out of which mostly are from the visa exempted countries. It is a positive step towards visa exemption.